Longhope Welding Company Ltd - Welding Fabrication Gloucestershire. CE registered – LWC now provide a top quality precision engineering service, as well as steel and material supplies, including lintels and beams. Small scale gates, staircases and extensions to railings and balustrades. Call us on (01452) 687517 or (01452) 830572 for more information today. Providing the solution to your welding and steel fabrication needs in Gloucestershire, Herefordshire and Monmouthshire. LWC now offer a high quality precision engineering service via our sister company LWC Precision Engineering Ltd. Clients range from the oil and gas industry to bespoke tooling for injection moulders as well as more standard machined items. Contact Matthew Whittington on (01452) 687517 or info@lwc-precision.co.uk for more information. We stock and supply all types of profiled steel and materials such as plates, angled, channels, box section (hollow and solid), tube & bar, mesh and reinforcing bar. 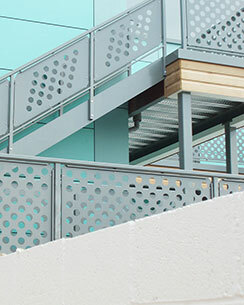 We can also supply specialist materials, including: Polished Stainless Steel | Aluminium Extrusions | Stainless Steel Balustrades | Glass Balustrades | Hardox. View all available steel sections. 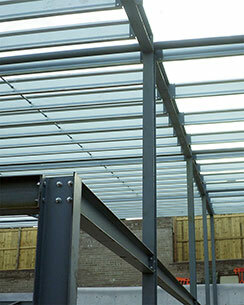 We offer a high quality general steel fabrication service that can adapt to your needs. We manufacture a wide range of products including mezzanine floors, staircase beams and lintels for the building industry. We custom create handrails, frames, gates and railings. Longhope Welding Company Ltd recently supplied a bridge that now proudly stands in Pittville Park in Cheltenham. Read more. Longhope Welding Company Ltd are able to assist you with making your concept a reality, with the aid of our trusted third party design associates and combined with our many years of expertise in the steel frame structure industry. We can work and offer strong practical advice on your own design, should you need it we can also assign our preferred designers to work with you too. Read more. Your needs are our priority. Place your trust in us, let’s work together. Our aim is always your satisfaction, and our reputation for quality is precious to us. We work with you to agree the best methods and timeframe to meet your needs – covering all aspects of welding and steel fabrication Gloucestershire, Herefordshire & Monmouthshire and beyond. 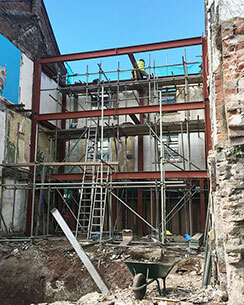 Founded in Longhope, Gloucestershire, we have nearly 50 years experience serving the local area in the steel frame building industry. LWC Ltd can help with them all! From bespoke orders to large scale commercial contracts, big and small, we’ve helped them all. Guy Drummond | BGD Property Ltd.
Ken Humphries | Woodgate Sawmills Ltd.